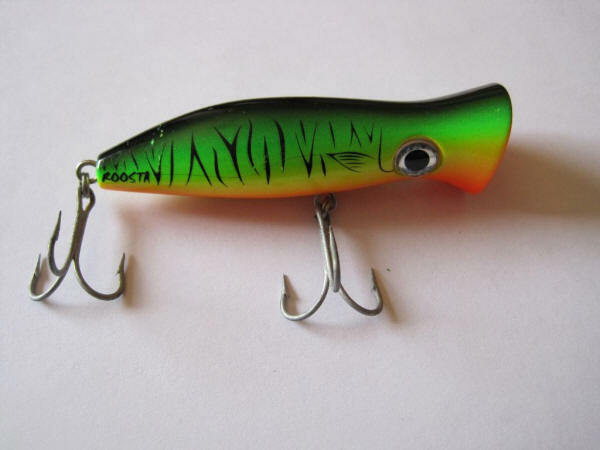 The HALCO Roosta Popper is a very well known surface lure that can be used for saltwater and freshwater angling. You can catch anything from Bass to Yellowfin Tuna on the HALCO Roosta Popper. 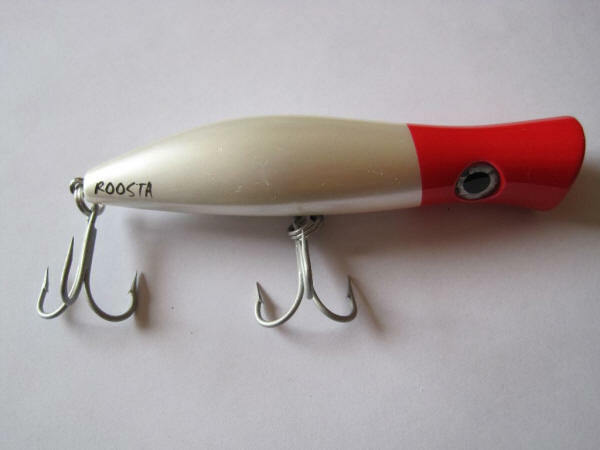 The HALCO Roosta Popper is the ultimate cast and retrieve open faced popper. The Roosta Poppers are rear weighted for easy long distance casting. The Roosta Poppers can be used from the shore and the boat. These are high quality lures that will catch big fish. If you have seen the Saltwater fishing program Extreme Sports Angling (ESA) you will know how well these Roosta Poppers work. They come in a variety of sizes, 3 of the best sizes are available for purchase here: 105 (10.5 centimeters), 135 (13.5 centimeters) and 195 (19.5 centimeters). 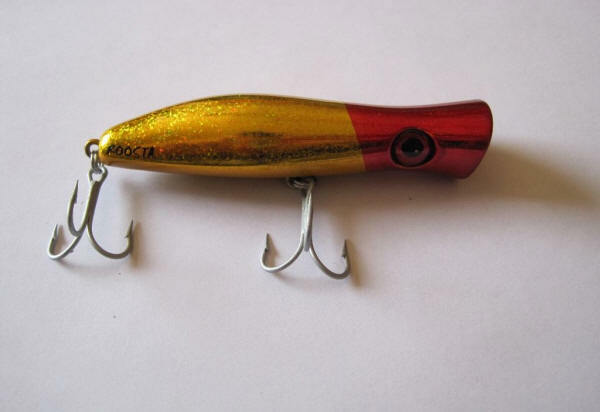 The HALCO Roosta Popper 195 is nicknamed the Haymaker because of the noise and commotion it creates on the water. 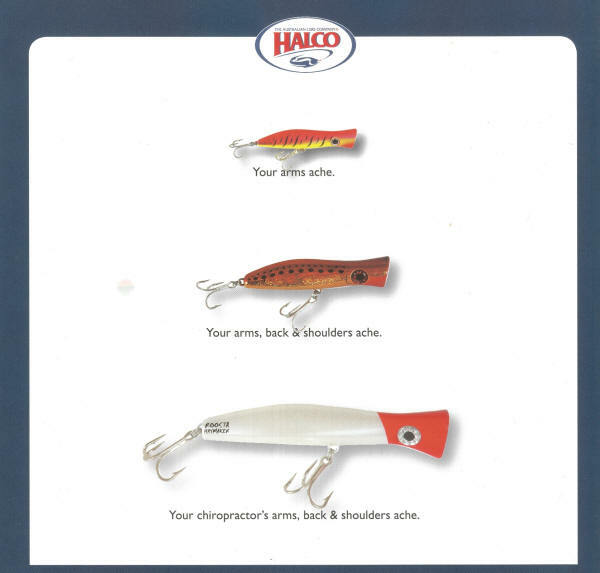 These lures are designed in a way in which if the fish are in the immediate area they will attack these lures. 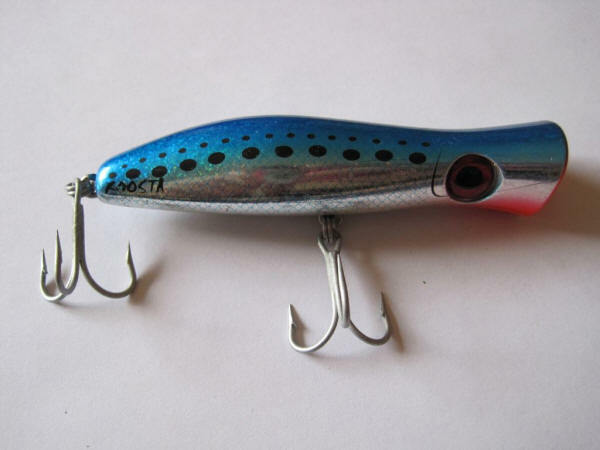 The smaller lures (105 and 135) can be used for shore, rock and estuary angling. They are also good for offshore fishing, but if you have the Roosta Popper 195 Haymaker you will not need to cast the 105 or 135 off the boat. These are created from the best materials and so much angling success can be attributed to the Roosta Popper. Listed below are the specifications of each lure size and what fish can be caught on what size Roosta Popper. The colours these Roosta Poppers come in can be seen below too... We sell the Roosta Poppers in four different colours which have proved to be the most successful: Red and gold, green, blue and red and white.